The LMS brake van at Okehampton, showing the new veranda doors and some flashy white paintwork. 731411 is an LMS 20 ton Goods Brake Van type ZTP, built in 1942 at Derby to diagram D2068. 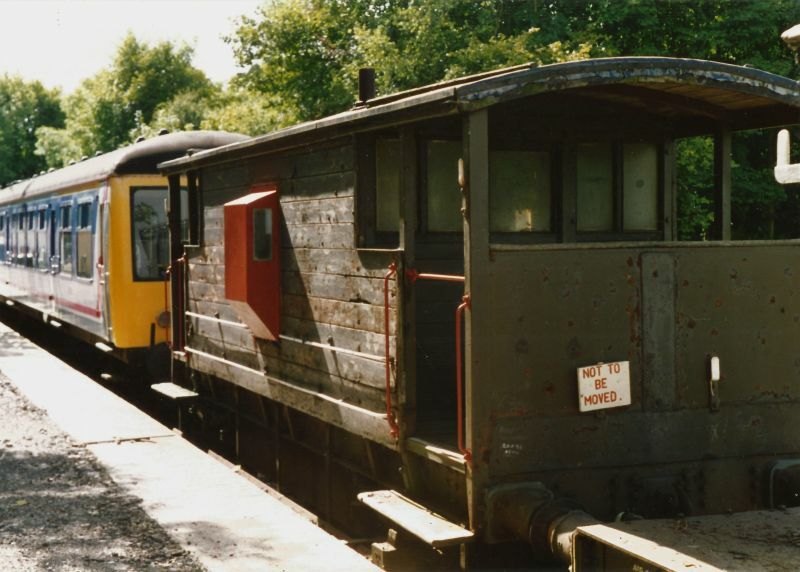 It is the oldest rail vehicle on the Dartmoor Railway. We only know snippets of its operational history. There is photographic evidence of it in service on an engineer's train at Windermere in 1971, this photo on the tremendous Paul Bartlett website, taken at Peterborough in 1991 (does anyone know the purpose of the pipe to the right of the ducket?). It was purchased by Ken Elks in June 1993, as the best representative of a batch British Rail had for sale at March in Cambridgeshire. 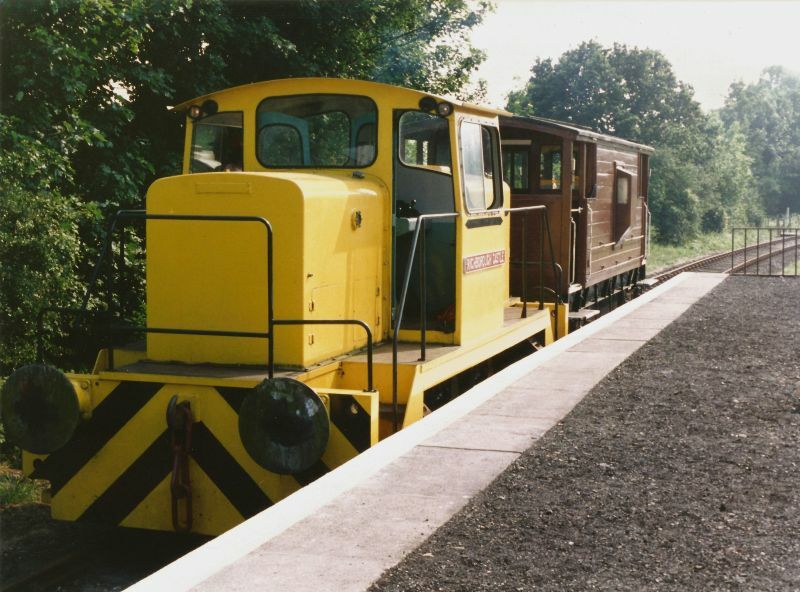 Ken moved it to Shepherdswell on the East Kent Railway, then sold it to a friend who intended to use it at Bishopsbourne on the Elham Valley Railway. The EVR plan never happened, and M731411 remained, neglected, at Shepherdswell. 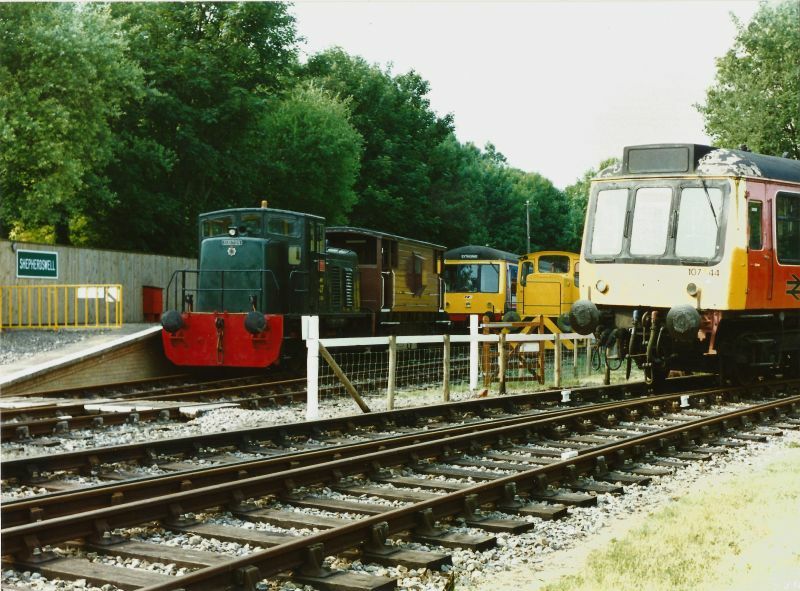 The Dartmoor Railway acquired it from the East Kent Railway in 2006, and later that year sold it to DRSA’s predecessor, the Friends of the Dartmoor Railway. In 2015 it had some of the woodwork renewed. 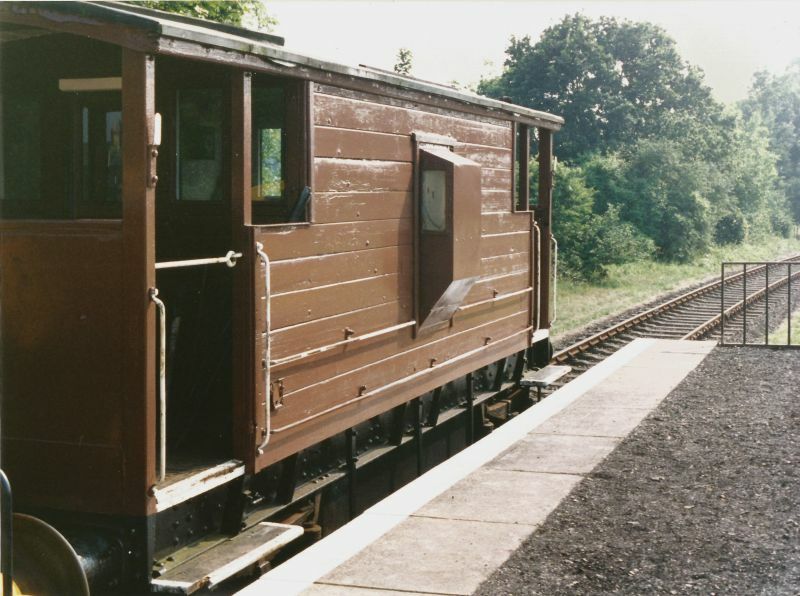 At the same time the opportunity was taken to fit doors, to enable it to be used for brake van rides. During 2017 it had further timber repairs, and was repainted from grey to bauxite, a livery which all the evidence suggests is more appropriate. It is through piped, i.e. even though it doesn't have vacuum brakes itself, it can be part of a vacuum braked train. It has a brake setter valve so that the guard can break the vacuum thus applying the brakes on any fitted vehicle in the train, as well as warning the driver via the indication on his vacuum gauge. There is also a similar modification at one end for air brakes. Condition:Operational, sometimes part of the vacuum braked heritage rake. 731411 soon after its arrival in 1993 at Shepherdswell on the East Kent Railway, being prepared for painting. 731411 at Shepherdswell with the East Kent Railway's English Electric 0-6-0DH shunter 'Richborough Castle'.